As an out Arab-American actor, Amin El Gamal is shaking up the entertainment industry. 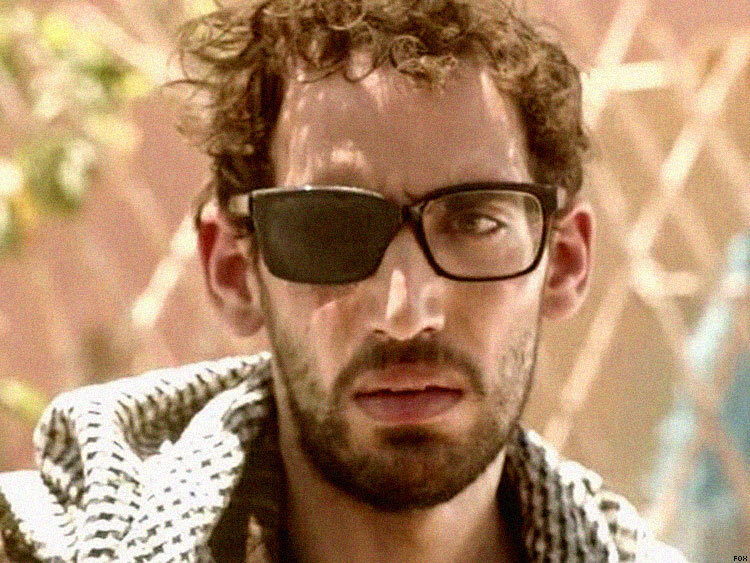 Amin El Gamal portrays one of the main villains in Prison Break: Sequel, the rebooted Fox drama starring Wentworth Miller. Like Miller, El Gamal is an out actor of color. An Arab-American, he is Muslim and gay, and also an ardent activist for intersectional concerns. He is an ally of Black Lives Matter, a volunteer with the International Rescue Committee, and the founder of a support group for LGBT Muslims. In an interview with The Advocate, El Gamal discussed how he is both excited and “sort of nervous” regarding the public reaction to his latest part — an antagonist named Cyclops with possible ties to terrorism and ISIS. In today’s political climate, when Muslims are being demonized and deported, El Gamal is acutely aware of the impact that depictions on broadcast television can have on a marginalized community. 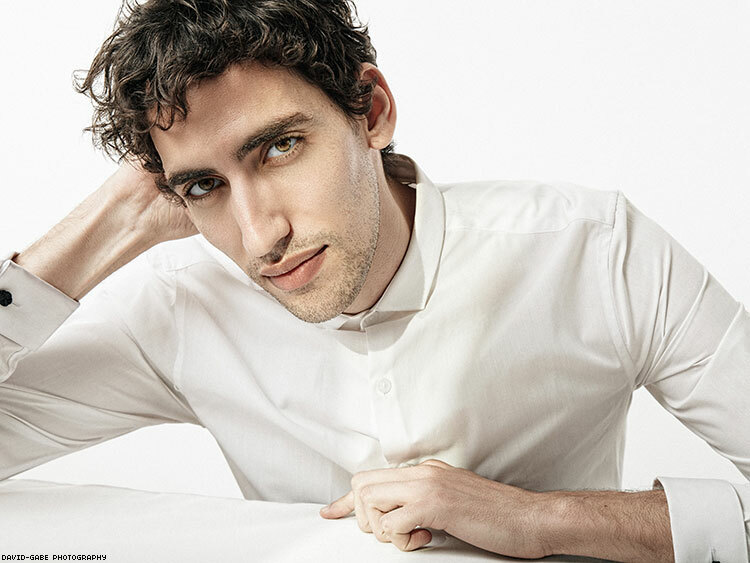 However, the 31-year-old actor also acknowledged how his visibility matters, in an industry where the glass closet persists and there is a deficit of complex representations for Arab characters. And it helps to have a lead like Miller. The leading man broke new ground when he came out in 2013, in a letter to a film festival in Russia condemning the country’s antigay legislation. The moment was an important one for El Gamal. Miller provided more than just a role model. When El Gamal joined the cast of Prison Break: Sequel, he discovered how much it mattered to have other out actors on set, in part due to the material and environment. Filmed in Vancouver and North Africa, the reboot now focuses on an escape from a facility in Yemen — and a storyline involves the detention of a queer character. “Especially in some of the harsh and violent situations and environments that we were in, it just felt very comforting to have someone who was there who was like, I see you, I understand your concern,” El Gamal said. Miller, along with another gay actor on set, Augustus Prew — “so rare, especially on a broadcast show” — helped El Gamal give complexity and heart to a character who might have been monstrous. In discussions, the trio mapped out a backstory for the character, which gave El Gamal an “in” to the villain. In their reasoning, the character was bullied in the past, and he was out to “prove my masculinity.” This history allowed him to connect with his part in ways he hadn’t anticipated. His father was less tolerant of his childhood cross-dressing. Like King Triton, he destroyed and threw away his child’s “knick-knacks aplenty,” including a prized Little Mermaid wig. But that didn’t end El Gamal’s interest in queer culture. After age 5, he developed an obsession with Judy Garland, seeing all her films and learned to lip-synch to all of her songs. He stressed it was not a camp magnetism that drew him to the Wizard of Oz star and gay icon. It was pure admiration of her talent. “It was authenticity and vulnerability that she accessed so easily in performances. And I think to this day, I’ve learned a lot from that,” he said. His parents, immigrants from Egypt, both struggled initially with their son’s sexuality. After El Gamal came out his sophomore year at Stanford University, he worried that his family would stop paying for his schooling or cut off communication. On a trip to Egypt, his father forbade him to wear “gay” clothes. “I basically was playing a role as a straight son for three weeks, and that was very strange,” said El Gamal, who said that since then, he’s seen his parents make great progress in acceptance. El Gamal acknowledged that time and location were on his side, remarking how his own narrative mirrored the change in the country’s attitudes toward LGBT people. The experience shaped his views on coming out as well as the responsibility for others to do so. As an actor, El Gamal has never been closeted. He saw what could happen if he chose to be firsthand, when he dated an older actor as a graduate student at the University of Southern California. El Gamal has been an actor for five years — and he’s working. His résumé includes parts in The Newsroom, Shameless, Transparent, and The Librarians. However, he noted how “really tricky” the parts in Hollywood available to LGBT people of color can be. The obstacles are many. He’s had to address “homophobic microaggressions” with former representatives, who would ask questions like “Did you butch it up enough?” after auditions. The roles themselves are problematic, trending toward a combination of terrorists and child molesters. “So, wait, you can’t see me playing this completely asexual character, but all of a sudden, I’m a child molester? There’s a lot of weird BS to sift through,” he said of the Hollywood casting game. He pointed to Issa Rae, the creator of HBO’s Insecure and a former classmate from Stanford, as a possibility model for what he hopes to achieve for LGBT people of Muslim background. As a creator, he could also work to better merge his acting and his activism, which he sees as two sides of the same coin. “I’m not her by any means at all, but I’m really inspired by her work to create something that is more authentically me, and at the same time, serving an audience that hasn’t really been served,” he said. As an activist, he has been “very moved” to witness the historic demonstrations that have occurred since Donald Trump took office. In particular, the airport protests hit home, as they showed intersectional support for Muslim people, the likes of which El Gamal had never before seen in the U.S. — including from Muslims. El Gamal also hopes Hollywood will take more responsibility with its depictions and recognize some of its complicity in creating a culture of Islamophobia. El Gamal finds the tactics of the Trump admistration, which has used homophobia as a justication for its ban on travelers from predominantly Muslim nations, “horrifying.” He called it “pinkwashing” and “a trap to try to divide and conquer” different vulnerable communities. El Gamal has a message to LGBT people who are Islamophobic. Initially, El Gamal questioned whether he should take the part in Prison Break: Sequel, due to his fears that America would once again see that “the bad guys are brown, screaming, with guns.” But El Gamal, after reviewing the material, appreciated how it complicated the narrative. Prison Break: Sequel premieres Tuesday at 9 p.m. Eastern on Fox. Watch the teaser below.